Question of the Month: During the winter of 2013-2014, propane shortages and price spikes were widely publicized by news media, and some fleets reported difficulty getting propane for their vehicles. What really happened and what steps can propane fleets take to protect themselves from similar issues in the future? Answer: Several factors contributed to the recent winter supply constraints and increased propane prices, including record low temperatures around the country (the 2013-2014 winter was almost 30% colder than the previous winter), increased rain fall requiring additional propane supply for crop drying, pipeline outages (the Midwest Cochin pipeline shut down for three weeks in December 2013), Canadian supply constraints, and increased exports leading to reduced propane reserves. However, it’s important to note that while the demand for propane used to heat homes in colder months fluctuates, fleet demand for propane remains stable throughout the year. As a result, propane suppliers are generally willing to offer longer term fuel contracts to fleets at prices that do not vary during the winter. Fleet customers should plan ahead and negotiate these agreements in advance. Don’t wait until the coldest day of the year to start asking questions. Fleets should develop and maintain a long-term fuel contract based on projected consumption with their local propane marketer or fueling station operator. These contracts can provide a reasonably steady price for propane year-round, regardless of temperature fluctuations and other issues. However, fleets that fuel their vehicles at retail locations where there is no contractual relationship can expect to pay the current market price, which may be equal to or higher than gasoline during peak use periods. As such, the propane price spikes reported in the winter of 2013-2014 primarily affected fleets and drivers without fuel contracts. While some fleets with fuel contracts also faced supply limitations and price increases this winter, these incidences may have occurred as a result of other circumstances. For instance, some pricing contracts are set up to fluctuate based on a floating commodity price, or they might be indexed to automatically track gasoline or diesel prices. In addition, state fleets may be subject to certain fueling restrictions if the governor addresses energy supply issues through executive action. The prolonged severe weather this past winter resulted in several regions declaring official states of emergency. Similarly, fleets with bi-fuel vehicles, which provide the option to fuel with gasoline, may be subject to caveats during emergency periods that would not affect fleets with dedicated propane vehicles. To avoid unwanted disruptions in propane supply and price spikes, fleet administrators should closely review current and future fuel contracts and discuss various scenarios with their propane marketer to ensure that the contract terms match up with the fleet’s needs and expectations. Local propane marketers are present in most communities across the United States and can provide expertise and assistance in building fueling stations and deploying vehicles. Additionally, many marketers offer attractive lease options for fuel storage tanks, pumps, and dispensing equipment in return for a multi-year fuel supply contract. The cost of this equipment can be paid back over time through a shared savings or performance contracting agreement, virtually eliminating up-front costs to the fleet operator. The cost to purchase and install propane fueling infrastructure can be significant depending on the fleet’s choice of refueling options; however, fuel contracts can greatly reduce the financial burden. In most cases, the fleet is only responsible for the cost of infrastructure that cannot be removed from the site when the fuel contract is over, such as the electricity line or the concrete pad for the storage tank. While the issues last winter raised concerns, it is important to note that the supply of propane in the United States is on the rise. 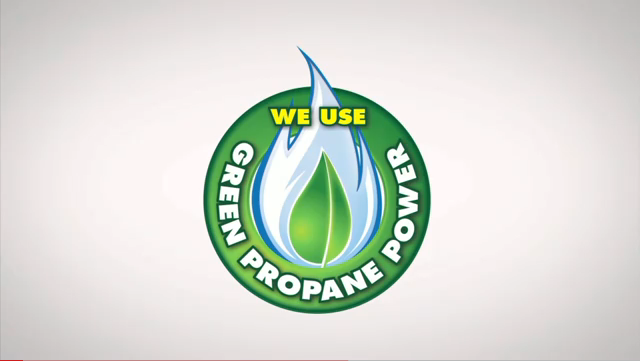 Propane is a by-product of natural gas processing and crude oil refining. In recent years, as natural gas production levels in the United States have increased, so has the propane supply from these operations. Between 2007 and 2013, the percentage of the U.S. propane supply produced from North American resources increased from 76% to 92%. As such, propane is not subject to the same types of energy security risks as petroleum based fuels that depend on foreign oil supplies face. • PERC On-Road Fleets Directory (http://www.propane.com/on-road-fleets/) and January 30, 2014 press release on propane supply and distribution (http://www.propanecouncil.org/PressReleases.aspx?id=1654&pressreleaseId=13495). Stay tuned for additional correspondence on upcoming Clean Cities workshops and training on fleet propane contracts.